The holidays can make you just plain happy. So can the sound of ukuleles! 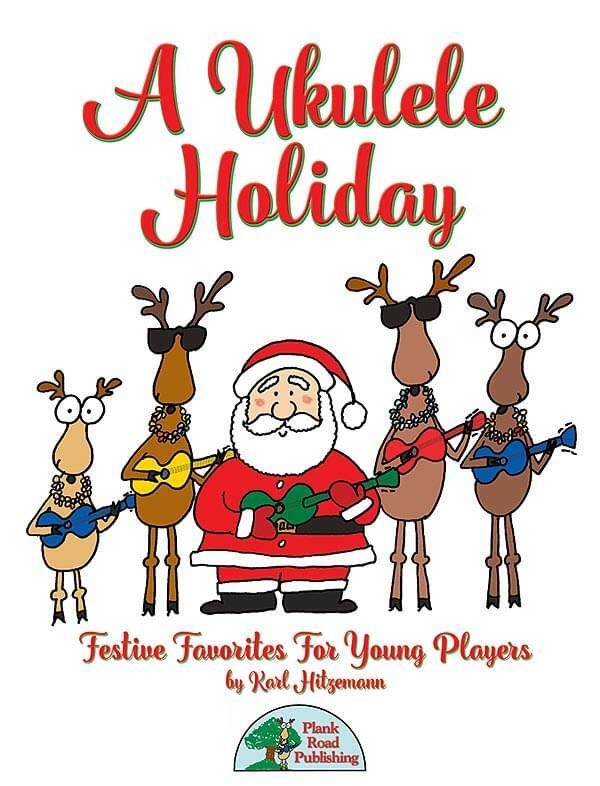 You and your students will have a great time strumming through holiday favorites like "Over The River" and "Up On The Housetop" and a fun Hawaiian-style "Jingle Bells." Most of the songs in this collection feature one, two, or three chords. There is plenty of flexibility built into each tune so that you can make it easy or more challenging for your performers. Both Print and Downloadable. Download is 44MB.